Of course, having waffles every Saturday meant that by the time I hit high school, I was completely sick of them. 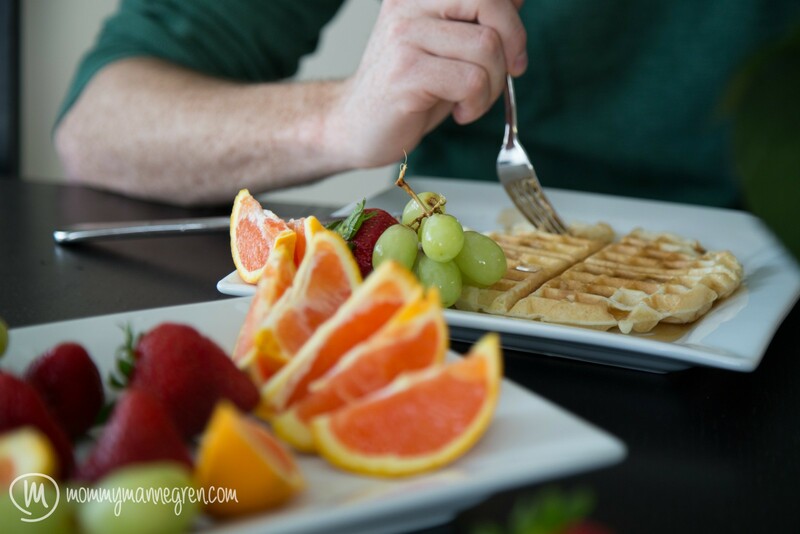 (The smell of waffle batter still holds the potential to make me gag…) But after surviving a couple years in the college cafeteria, I quickly realized just how delicious fresh, homemade waffles really are! This family favourite recipe is simple and quick to whip together. Light, fluffy and delicious, with endless options for toppings – this is definitely one of our go-to meals! 1. Preheat waffle maker and mix ingredients together. 2. Pour batter onto hot waffle maker and cook until golden brown. This recipe is perfect for 2-3 people. 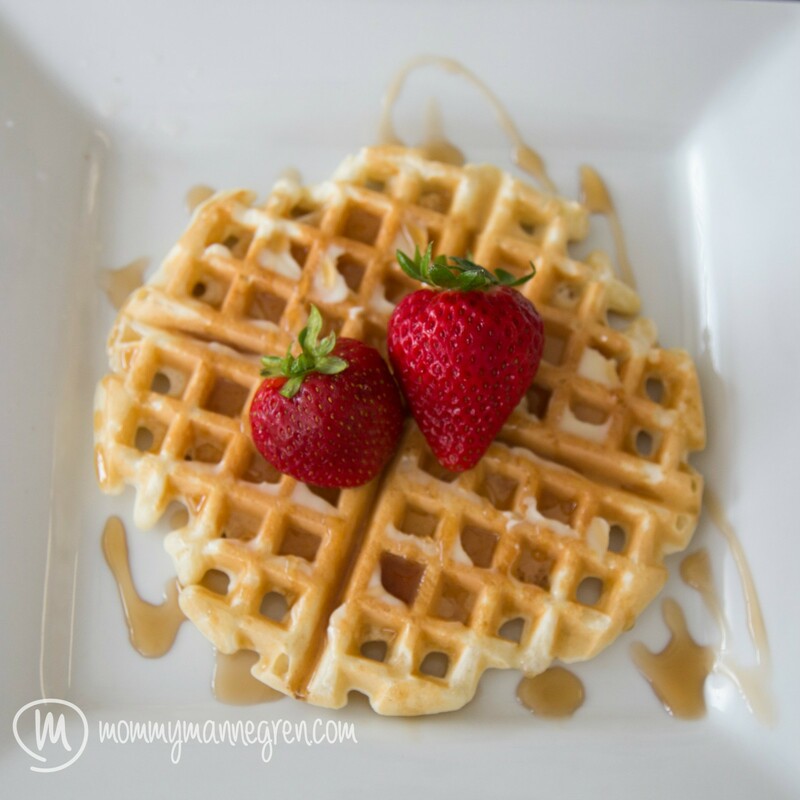 Depending on the size of waffle iron, the number of waffles will vary – we usually end up with a total of six. Although my husband and I have yet to adopt the weekly waffle tradition of my childhood, our waffle maker has definitely not been neglected. And by the looks of it, it’s going to be a fan favourite with the little guy too. 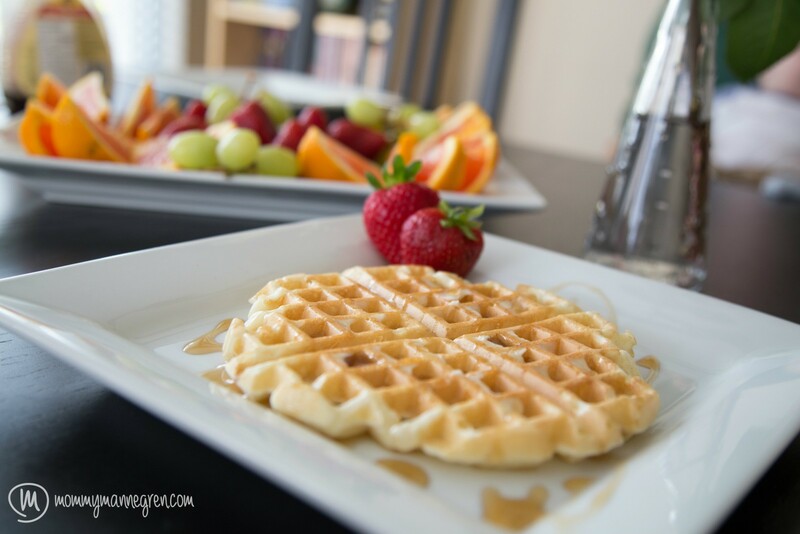 What’s your favourite waffle topping?